This study was supported by a grant from the Swiss National Science Foundation (No. 105313_130068_/1). We thank Paul Anand for permission to use the original English set of capability items. The study used data from the “Swiss Federal Surveys of Adolescents (ch-x)” collected by the ch-x research consortium ch-x cc. Project management: Institute for the Management and Economics of Education, University of Teacher Education Central Switzerland Zug: Stephan Huber. Research partners: Institute for Education Evaluation, associated institute of the University of Zurich: Urs Moser; Institute of Social and Preventive Medicine, University of Bern: Thomas Abel; and the Department of Sociology, University of Geneva: Sandro Cattacin. See Table 5 and Fig. 3. Burchardt, T., & le Grand, J. (2002). Constraint and opportunity: identifying voluntary non-employment. Londen School of Economics, ESRC Research Centre for Analysis of Social Exclusion. http://sticerd.lse.ac.uk/dps/case/cp/CASEpaper55.pdf. Accessed September 21, 2012. Burchardt, T., & Vizard, P. (2007). Definition of equality and framework for measurement: final recommendations of the equalities review steering group on measurement. London School of Economics, ESRC Research Centre for Analysis of Social Exclusion. http://sticerd.lse.ac.uk/dps/case/cp/CASEpaper120.pdf. Accessed September 21, 2012. Crocker, D. (2008). Sen’s concepts of agency. University of Maryland, Institute for Philosophy and Public Policy. http://www.capabilityapproach.com/pubs/CrockerAgency7-31-08.doc. Accessed September 21, 2012. Federal Department of Defence, Civil Protection and Sport. (2012). Annual numbers of recruits and conscripts in Switzerland. http://www.vbs.admin.ch. Accessed September 21, 2012. Fleurbaey, M. (2008). Individual well-being and social welfare: Notes on the theory. http://www.commission-stiglitz-sen-fitoussi.fr/documents/Individual_Well Being_and_Social_Welfare.pdf. Accessed September 21, 2012.
International Wellbeing Group. (2006). Personal wellbeing index. Deakin University, Australian Centre on Quality of Life. 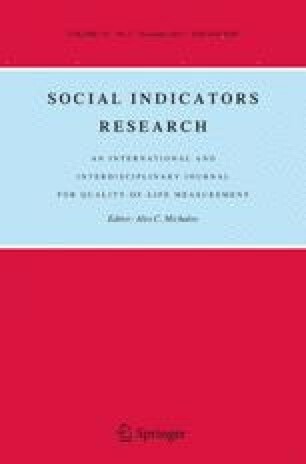 http://www.deakin.edu.au/research/acqol/instruments/wellbeing-index/. Accessed September 21, 2012. Lorgelly, P., Lorimer, K., Fenwick, E., & Briggs, A. (2008). The capability approach: Developing an instrument for evaluating public health interventions. Final Report. University of Glasgow, Section of Public Health and Health Policy. http://www.gcph.co.uk/assets/0000/0430/Capabilities_-_full_report__August_08.pdf. Accessed September 21, 2012. Robeyns, I. (2000). An unworkable idea or a promising alternative? Sen’s capability approach re-examined. University of Leuven, Center for Economic Studies. http://www.econ.kuleuven.be/eng/ew/discussionpapers/Dps00/Dps0030.pdf. Accessed September 21, 2012. Robeyns, I., & van der Veen, R. (2007). Sustainable quality of life. Conceptual analysis for a policy-relevant empirical specification. Bilthoven: Netherlands Environmental Assessment Agency and the University of Amsterdam. http://www.rivm.nl/bibliotheek/rapporten/550031006.pdf. Accessed September 21, 2012. Volkert, J., & Schneider, F. (2011). The application of the capability approach to high-income OECD countries: A preliminary survey. Munich: Centre for Economic Studies. http://www.cesifo-group.de/portal/pls/portal/docs/1/1200018.PDF. Accessed September 21, 2012. Zumbo, B., Gelin, M., & Hubley, A. (2002). The construction and use of psychological tests and measures. In the Psychology theme of the Encyclopedia of Life Support Systems. Oxford: EOLSS. http://www.educ.ubc.ca/faculty/zumbo/talks/Zumbo_Gelin_Hubley_EOLSS.pdf. Accessed September 21, 2012.